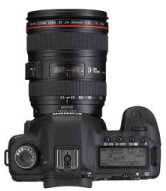 How is the 5D going to change your budget? What issues are cinematographers experiencing? What are the workflows being currently used? Slow mo, 35mm blow up, HD finish… We hope our panel will cover all aspects & more! Merlin van Staden cinematographer of note! & possibly has more experience on the canon than anyone in south africa!